My sweet husband bought me this cape for my birthday. He likes going into a local boutique (Mercer) and asking the sales girls there what is ‘hip and fashionable’ and this is what they suggested! Isn’t he adorable?! 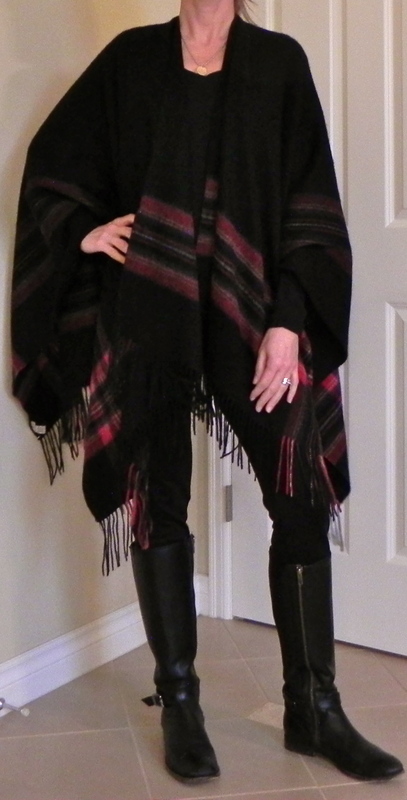 I actually really love it- I’ve had my eye on a cape for a while now- and it is a gorgeous pattern. My only problem is, I feel a bit like Zorro in it! I tried belting it and thought by pairing it with skinny jeans and boots I’d look ‘hip and fashionable’, but I’m not sure that’s really working- instead I look like I’m wearing a giant blanket. Oh well, at least I’ll be warm! Beware of Zorro, the masked houswife! 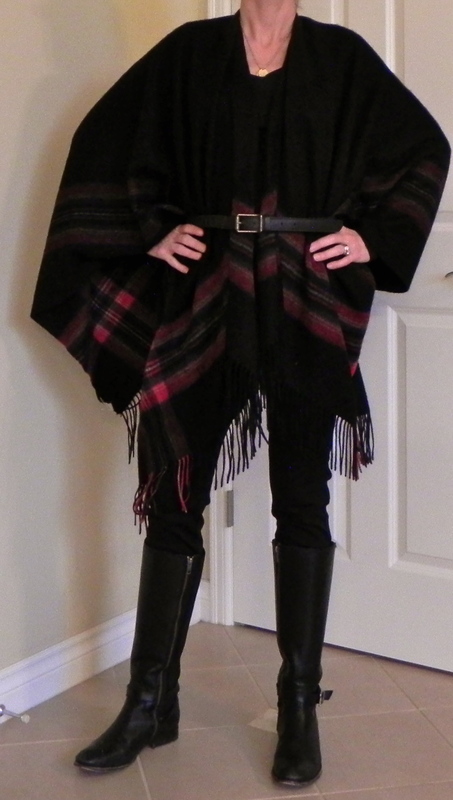 I love the cape belted and with skinny jeans and pants! Depending on where you are going, its perfect for a chilly winter day. I wish I were about 6 inches taller so I could pull off a look like this. And PS: what a thoughtful thing for your husband to do!! LOL. Zoro. And I think it’s gorgeous. Love that you belted it. I wouldn’t have thought of that.